Week one of Split 2 welcomes teams Immortals and Rogue from the Challenger Battles. This week provides several teams with opportunities to either reach for top seeds or move into a position to reach the Unified Live Championship. With many great matchups on both days, week one provided a great start to the second split of the season. To start off the day, Cloud9 took on Immortals. After a decisive victory in game one of the series, by C9, Immortals was able to pull off an amazing comeback in game two. Ultimately, C9 took the series victory after winning game three. In the second series of the day, after GankStars almost tied the series at 1-1, Hollywood Hammers came back to complete the 2-0 sweep. 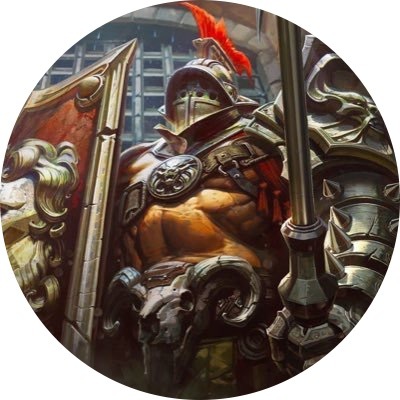 This loss by GankStars marks the third week of play they have not made it out of the quarterfinals. In the offline match of the week, Nova defeated Tempo Storm 2-0. In the final series of the day, in a huge upset, Rogue (with a sub in the jungle) beat TSM 2-0. 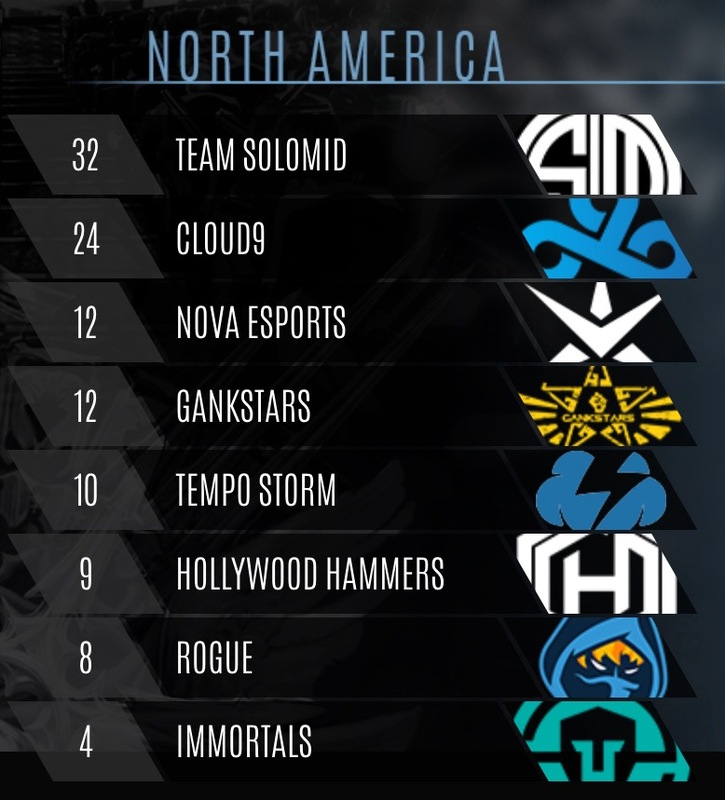 This ended a four week win streak for TSM. In the first semifinal series of the day, Hollywood Hammers kept their momentum rolling and beat Rogue 2-0. The second semifinal pitted Cloud9 against NOVA Esports. The series went to the third game, with Cloud9 taking the victory 2-1. In the third place series, in a great set of games, NOVA Esports was able to take the victory over Rogue 2-1. In the finals Cloud9 took on the emerging Hollywood Hammers. This series presented opportunities for both teams. 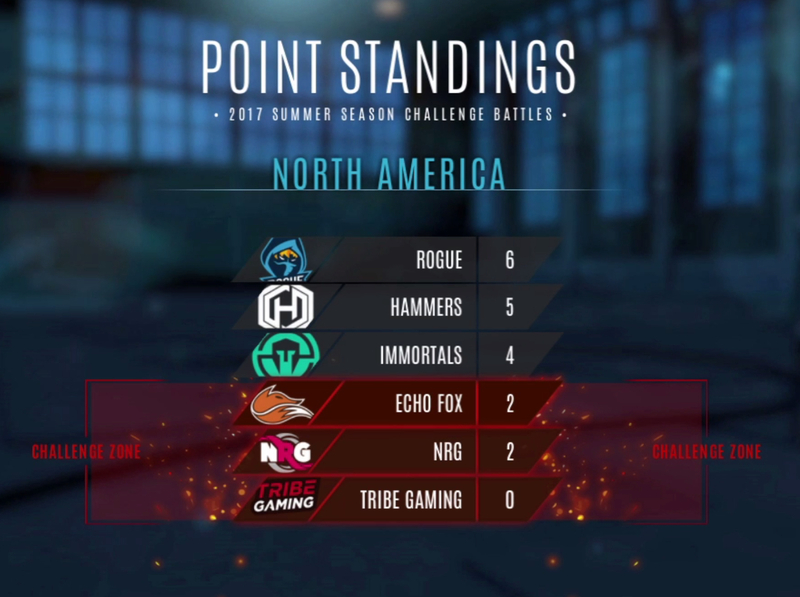 Hollywood Hammers was able to move out of the challenge zone with a win. Cloud9 on the other hand needs to win several weeks of split 2 to move into first place going into the Unified Live Championship. After the series hit 1-1, Cloud9 was able to take the third game for the series win. In the matchup of the week, Rogue surprised many people by defeating TSM 2-0. For the second week in a row Rogue was playing without their starting lineup, bringing in Stormycross for PONtheoriginal. In the first draft phase, Rogue came in with a clear plan and out-drafted TSM. They were able to pick up Baron, keeping him from BestChuckNa, completing the lineup with Catherine and Baptiste. With this composition Rogue was able to claim a decisive victory in game one, giving up only one turret in just over 20 minutes. In the second game the draft was much more even, with an edge going to TSM. However, through taking objectives decisively to outstanding play in team fights Rogue was able to take the second game as well. This week we saw a shift in the meta continuing from the challenger battles last week. The traditional bans of Grace and Baron continued to be almost automatic. This week saw the emergence of a meta comp containing Catherine and Baptiste. Their combined lockdown power, from Merciless Pursuit, Blast Tremor, Ordained, and Fearsome Shades makes them a deadly combo. This led to many teams banning Catherine in the first round of bans—a combined 10 times over the weekend. This week saw Kestrel win only 2 of 8 games that she was picked up in. This dropped her win percentage down to just over 36% over the last three weeks of competition. Krul continued to find his way into the meta this week. 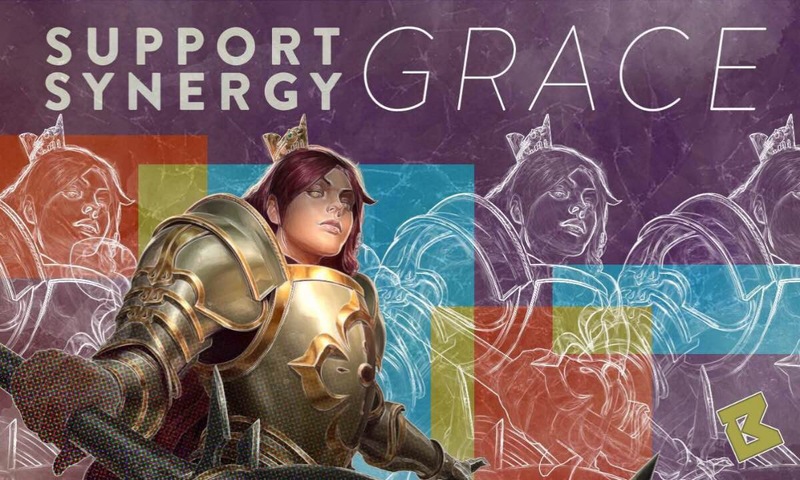 Some situational picks that showed success this week included Koshka, Skye, Reim, and Glaive. This week saw a major upset as TSM went down in the first round 0-2. This allowed Cloud9 to pull within eight points of first place. We also saw Hollywood Hammers take advantage of a huge opportunity; moving themselves into sixth place, the last qualifying spot for the Unified Live Championship. Catch the action this coming weekend on Twitch, starting at 2PM PDT (5PM EST) to watch the first match of the day when Immortals takes on TSM!